Houston Precise Dental Care (Houston) - Book Appointment Online! 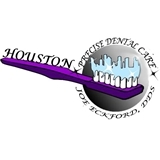 Houston Precise Dental Care has been serving the Houston area since 1975. We provide precise pain-free dental care and a personalized enjoyable dental experience. Very nice, efficient and the entire staff is definitely easy to work with.